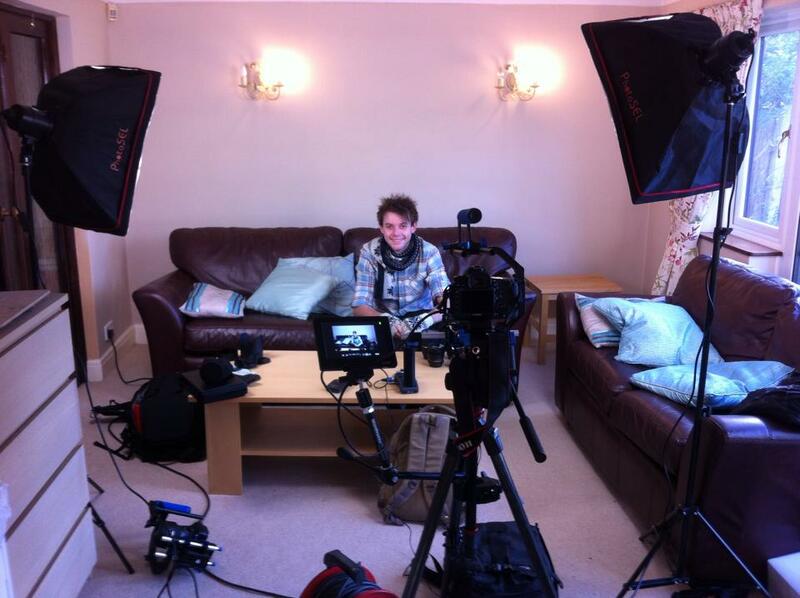 Interview/Epsom Downs/Nutfield Priory Filming Sunday! Sunday is always a hectic day for me, and yesterday encompassed helping Glen with his dissertation; he interviewed me about getting jobs in the broadcasting industry after university. 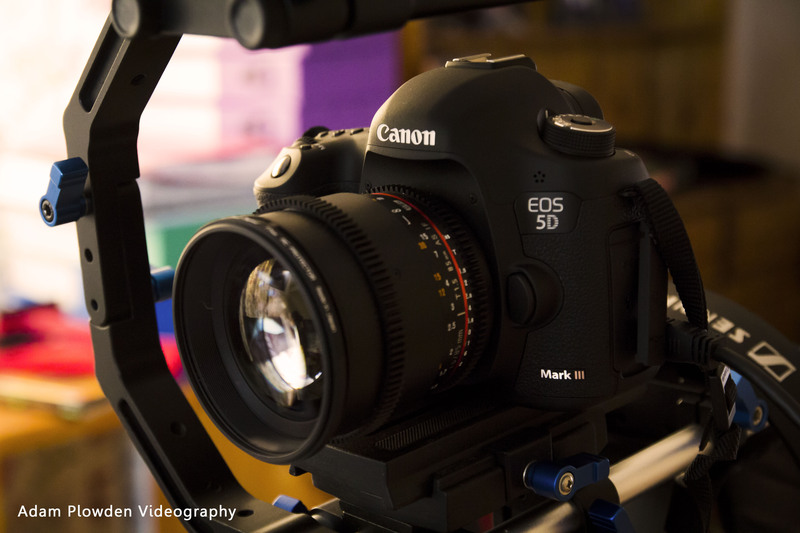 He filmed it on the 5DmkIII, Samyang 85mm T1.5 Cine, Lilliput field monitor, Zoom H6 & Sennheiser ENG-100, Manfrotto 055CX and my new MODA RIG - in studio production mode. It was a great opportunity for me to test out all of the new equipment on a video shoot together, and being on the other side of the camera was definitely interesting form me! We then took a trip up to Epsom Downs, it was a really clear day so from the viewpoint I could see London on the horizon, with the Shard gleaming in the winter sunlight. This was taken on the 5D with the Sigma 70-200. 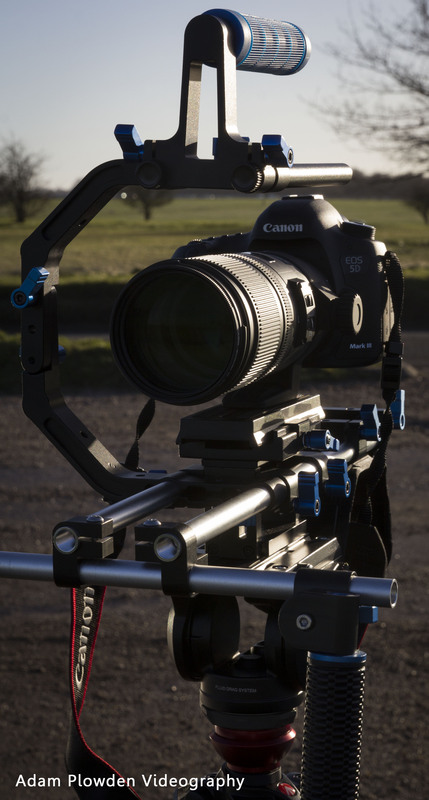 I got some pictures of the MODA rig in action, we were using it in two setups for the various shoots that day; the production mode for a large DSLR body and lens with cage and shoulder mount, as well as micro rig mode for a Canon 60D and cage. 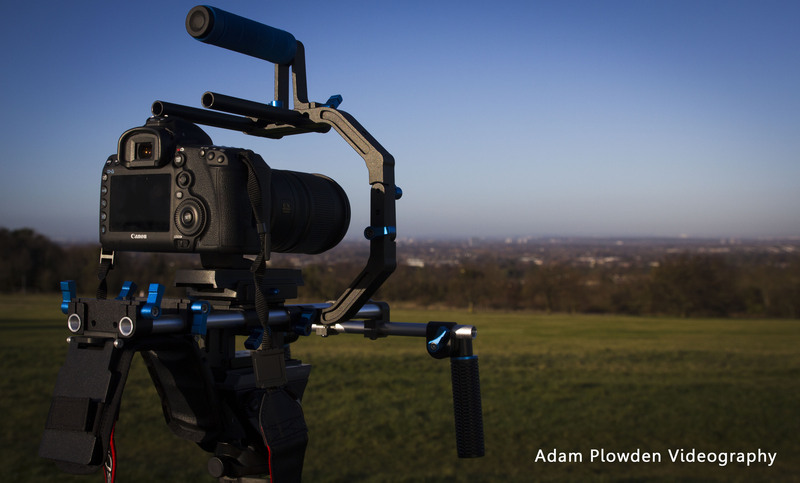 This shows how flexible the MODA rig really is in different shooting scenarios! We then jetted off to Nutfield Priory near Redhill for the last video shoot of the day, for Steve from Partytime entertainment. He has an awesome new setup with white speakers, moving heads, star cloth, light up dance floor and now a dry ice machine! Using the MODA rig with the Canon 5DmkIII, and a combination of lenses from Samyang 14mm T3.1 to Tamron 24-70 to a GoPro, myself and Glen captured the night. The dry ice was used for the couples first dance which looked great! The footage from this shoot will go to John Harris Media, as part of a bigger project with Partytime, so I am looking forward to seeing the results! There will be lots more coming over the next few days, I am currently buried under lots of post production work as well as developing Camsmarts new products too. Tonight I am out filming and taking photos for a new florist at Epsom RAC, so look forward to some new beauty snaps! Newer PostA quick shot of a starry night a couple of days ago, taken on 5DmkIII with Samyang 14mm T/1.5 (© Adam Plowden 2013). Older PostGetting more impressed by the 5DmkIII every minute!